Nik Bertulis is an educator, naturalist and designer. 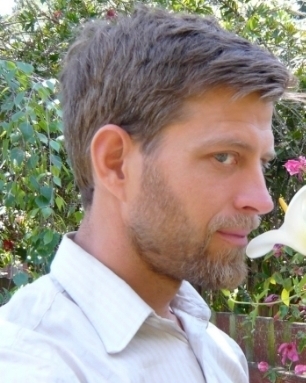 He has taught and developed ecology and sustainability curriculum at Merritt College, San Francisco Art Institute and PLACE for Sustainable Living. His work is grounded in 19 years of experience in habitat restoration, green infrastructure design/build and sustainable food systems. He is currently obsessed with wildlife corridors and is on the board of the Watershed Alliance of Marin and the Oakleyville Cooperative. Tony Iwane grew up in Hawaii and would like to thank the anoles and spiders he caught (and the Portuguese man-o-wars who stung him) for introducing him to nature. Since moving to the East Bay in 2006, Tony has fallen in love with California's wildlife and can often be found outdoors looking for snakes, bugs, birds and sometimes even mammals. He is passionate about introducing the natural world to people of all walks of life, especially those in underserved communities. He is currently a Naturalist at the Hayward Shoreline Interpretive Center and is an avid photographer and iNaturalist user. Through her work in environmental education and restoration around the Bay Area, Angela has done everything from digging holes and pulling stinkwort to surveying federal and state listed plants and wildlife species. She currently works at Oaktown Native Plant Nursery and Golden Hour Restoration Institute. She has a B.A. in English Literature from the University of California, Berkeley, and has studied at Merritt College. She lives in Oakland on Chochenyo Ohlone territory. Lo Scheiner is an amateur naturalist and part-time natural history student at Merritt College. She wants to know everything: what's that called, why does it do that weird thing, and how is it connected to everything else. Then, she wants to tell everyone about it. In her day job, Lo works with adults who have speech, language, and cognitive impairments. She is interested in working to make CCNH events accessible to people with disabilities. Constance Taylor is a big fan of all things stinky, squishy, and slimy. She has over 10 years of experience providing naturalist outreach & education for all ages, has worked as a rehabilitator of kangaroos in Australia and a finder of lions in Mozambique, and has lived in a cave, among other things (she'll tell you some stories if you ask her). In 2012 she founded Wild Oakland, a non-profit organization that provided free environmental education for adults. As it grew, she realized there was a larger demand for this type of programming that Wild Oakland was unable to meet on its own. In 2015 she joined forces with other naturalists and they created CCNH! CCNH is a vehicle to provide more natural history learning opportunities for anyone who wants to get closer to the more-than-human world. One of Constance's main goals in life is to get people to say “Awesome!” when they see things like flies and animal poo. She hopes you'll come to a CCNH event and say hello! Born in Klamath Falls Oregon and raised in Calaveras County of California, Damon Tighe attended Saint Mary’s college of Moraga California where he worked on local newspapers while earning a Biology/Chemistry degree. He taught High School in Portland, Oregon and moved back to the Bay Area to work on the Human Genome Project at the National Lab’s Joint Genome Institute. He spent a bit of time pursing a MFA in Natural History and Science Filmmaking in Montana, but returned to the Oakland to work on biofuels and single cell genomics. He currently manages an apartment complex in downtown Oakland, works for Bio-Rad laboratories designing curriculum and training educators from Colorado to the coast in biotechnology, and is well versed in local fungi, plants and slowly but surely critters of Lake Merritt. Eddie Dunbar has been pursuing insects since he could crawl. The fruit of his passion are growing numbers of insect guides and of people who are photographing and talking about insects. Eddie studied entomology at the University of California, Berkeley and has lead entomology instruction through projects at Cal, Lawrence Hall of Science, Mills College, Oakland Schools, and most recently as an instructor at Merritt College. By day he manages a GIS-based application for Oakland Public Works, but at night, on weekends, days off, holidays and the hours in between, he transforms into an advocate for the insect right to exist. 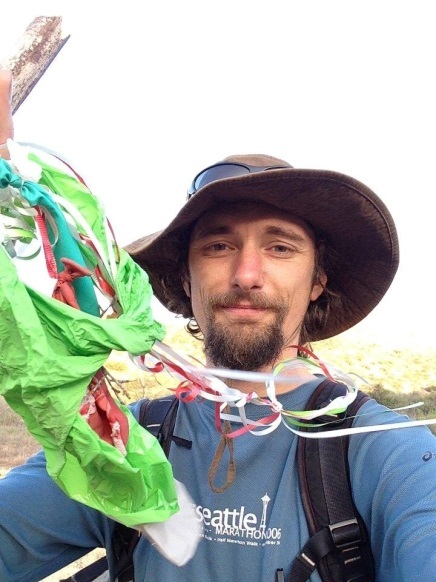 Whether for sixth-grade science camps or State Parks, Trent Pearce has been an environmental educator in coastal California for over a decade . He is currently an interpretive naturalist with both the California Center for Natural History and the East Bay Regional Park District. He is also a photographer, writer, and lover of wilderness and wild things. In his free time, Trent enjoys participating in citizen science projects, birding with friends, and backpacking in the Sierras. His varied interests are eclipsed only by his passion to teach and share the natural world with others. Marley lives in Sonoma County where he practices gardening, wildlife tracking, and archery. He longs for a reintegration of art with science and words with images, a synthesis that he develops in his journaling. Nature journaling has been a fundamental practice for Marley ever since he discovered how it ignited his other interests and accelerated his learning. During the week he propagates plants at Occidental Arts and Ecology Center and works with kids in nature at Weaving Earth. On the weekends Marley often teaches tracking or nature journaling. Christian Schwarz spends most of his time exploring the world of mushrooms, and is focused particularly on documenting the fungal diversity of Santa Cruz County and California in general. He's also fascinated by nudibranchs, bewitched by birds, wooed by whales, and and beguiled by flowers. He co-authored Mushrooms of the Redwood Coast (published by Ten Speed Press, due out in 2016). Much of his work on fungi is represented online at The Mycota of Santa Cruz. He's passionate about citizen science, especially in creating a two-way flow of information between amateur naturalists and professional scientists. By fostering communities of people with a shared love of nature, he hopes to see the continued growth of a strong conservation ethic in California. Liz Williams is an experienced naturalist and K-12 educator. From 2003 to 2009 Liz worked as a seasonal wildlife biologist, completing backcountry avian, mammal, herpetofauna, and plant surveys for federal agencies throughout the western U.S. Since 2009 Liz has worked in the field of education, working as an Education Project Leader for the Klamath Bird Observatory, a 4th grade classroom teacher in Berkeley, CA, an educator for the River Otter Ecology Project, and as a private tutor. Liz owns and operates High Tail Hikes, a dog walking and pet sitting business in Oakland, CA. Liz holds a B.A. in Geography from the University of California, Berkeley, an MS in Environmental Studies from the University of Montana, and an Elementary Teaching Credential from Dominican University of California.